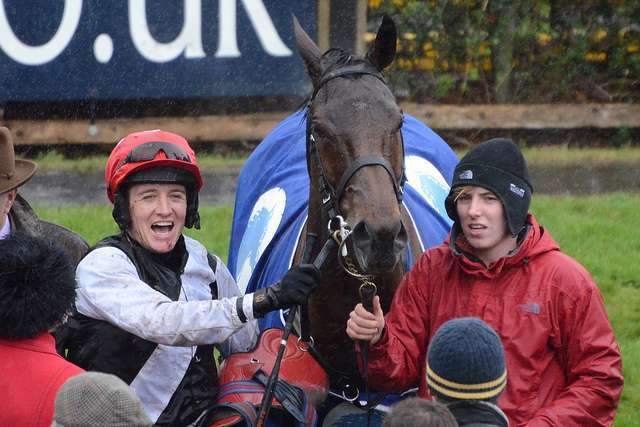 Irish jockey, Barry Geraghty, rode his first winner at Down Royal back in January 1997. And his career since then has been nothing short of remarkable. 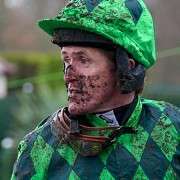 He has been crowned Champion Jockey on two occasions in Ireland, in 1999-2000 and 2003-2004. He was leading rider at the 2003 Cheltenham Festival and led Moscow Flyer in the Queen Mother Champion Chase. With five winners that week, he then went on to win his fourth Champion Chase at the 2012 Cheltenham festival on Finians Rainbow. 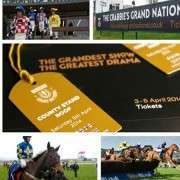 He continued the season in incredible form taking the most coveted prize of them all – the Aintree Grand National. On the Jimmy Mangan-trained Monty’s Pass he romped home for the win. In recognition of his amazing year, Geraghty was voted as ‘Sports Personality Of The Year’ later that season for his wonderful victories. Plus, it was the first time that this prize had been won by anyone in the racing industry. 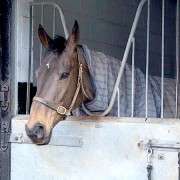 On the 2 November 2009 he rode his 1000th winner under National Hunt Rules in UK and Ireland. It was on the Nicky Henderson trained Duc De Regniere won at Kempton. In 2012, he then had another remarkable Cheltenham Festival, where he won another five times for trainer Nicky Henderson. He was on Sprinter Sacre in the Arkle, Simonsig in the Novices' Hurdle, Bobs Worth in the RSA Chase, Finians Rainbow in the Queen Mother Champion Chase and Riverside Theatre in the Ryanair Chase. He had hoped to continue the duo's winning ways on in the 2012 Grand National. But despite giving him a fantastic ride around the course, he couldn't keep up with the leaders. But still finished a very respectable 9th place. And given that Shakalakaboomboom was only 8 years old, he was sure to be back again. Nicky Henderson had only one runner in 2013 in Roberto Goldback but was unseated at the last fence and was out of the race. 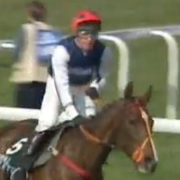 For the 2014 Crabbies Grand National, Barry Geraghty was on board Triolo D'Alene but was pulled-up at Bechers Brook on the second circuit. He didn't make an appearance in 2015 due to injury. 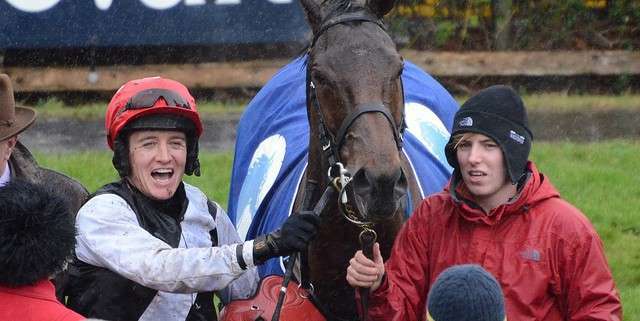 Back again in 2016, Geraghty was was now the retained rider for super-owner JP McManus. He partnered with Shutthefrontdoor to finish in 9th place. In 2017 he was on More Of That but pulled-up. 2018 saw him come the closest to another Grand National win. On Anibale Fly he had a terrific race to finish in 4th place. For the 2019 Grand National, he was booked to ride Anibale Fly. 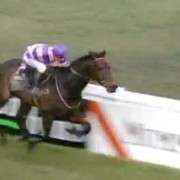 However, on Day 2 of the festival, Geraghty fell and broke his leg ruling him out of the race. Mark Walsh then moved from Regal Encore to take his place. Odds moved out from around 12/1 to 16/1.